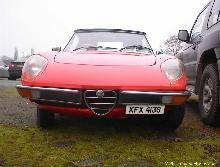 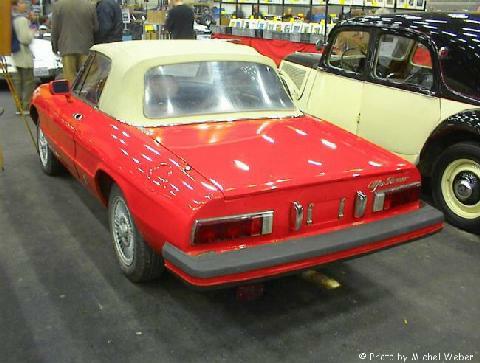 The Duetto Spyder could be purchased between 1966 and 1970 with 1.3, 1.6, and 1.75 litre engines. 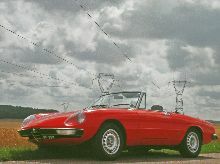 Their successors are known as the Spyder 1300 Junior, 1600 Junior, 1750 and 2000. They caught the eye because of their straight cut-off rear end. 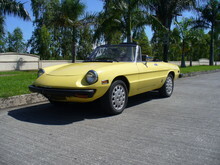 The standard engine is a four-cylinder with a capacity of 1,570 cc.